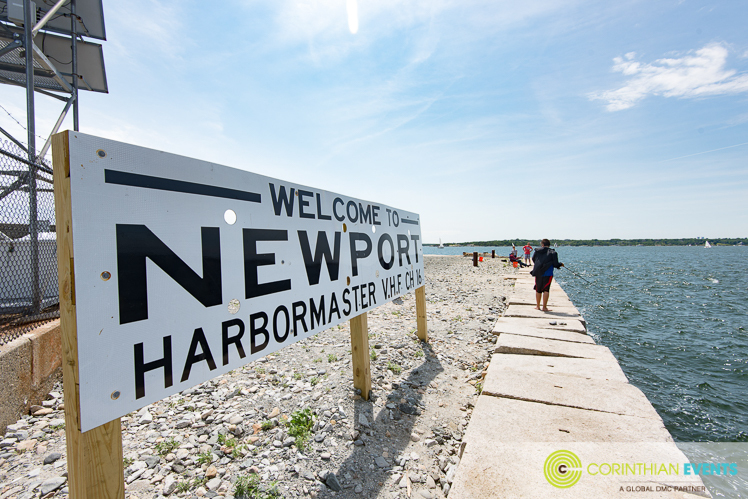 2015 was the Summer of Newport, RI! 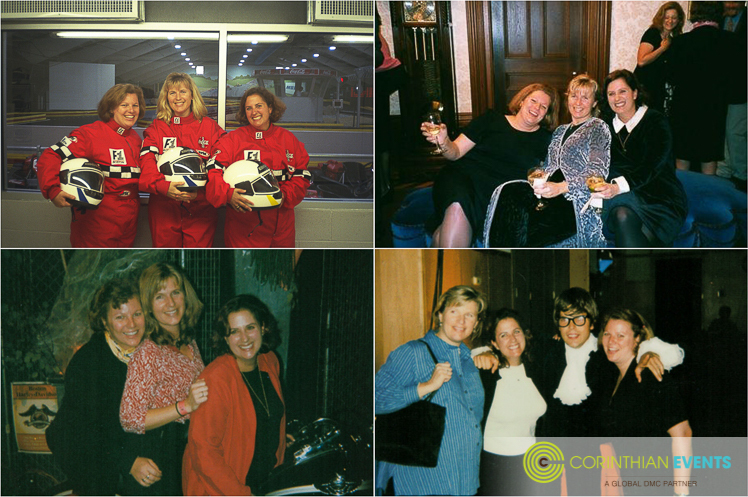 As we created proposals for summer outings, the CE office noticed a common trend among local corporate groups. 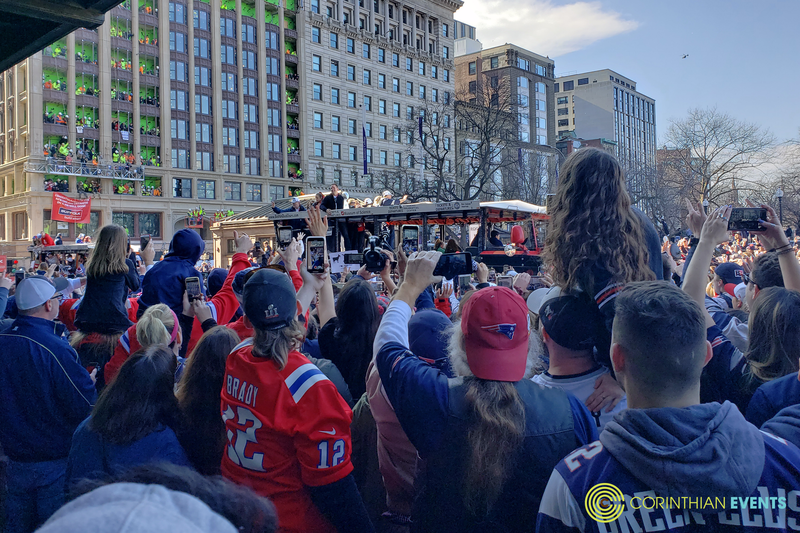 Many wanted to mix things up a bit by getting out of Boston and heading to a seaside locale within an hour or two of the city. 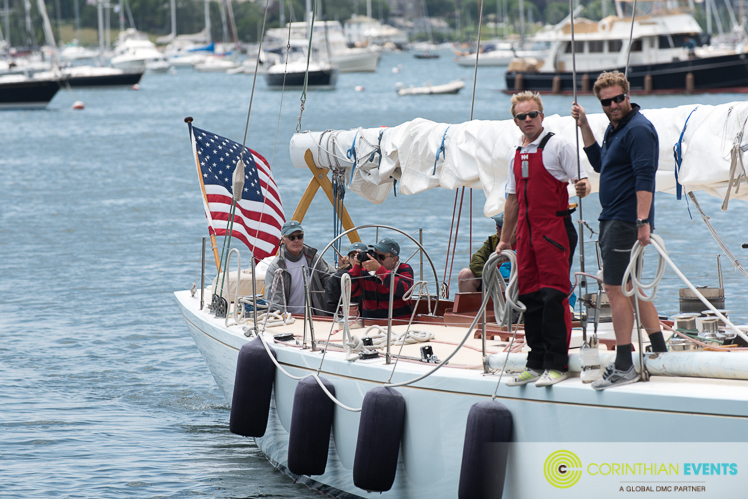 After considering Ipswich, MA and Thompson Island, this Boston based group decided Newport was the spot for them! The destination offers plenty of outdoor and historic activities and a beautiful, oceanfront spot for a relaxing luncheon. 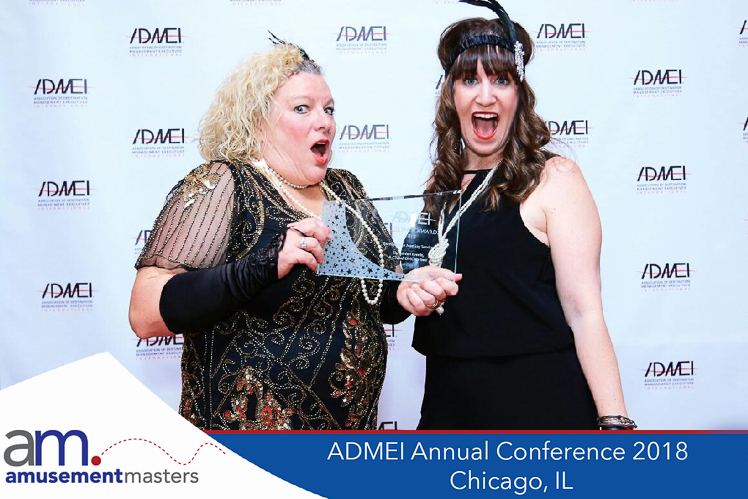 Guests' began their day with coffee and donuts before hopping on private motor coaches and heading to their morning activities in Rhode Island. 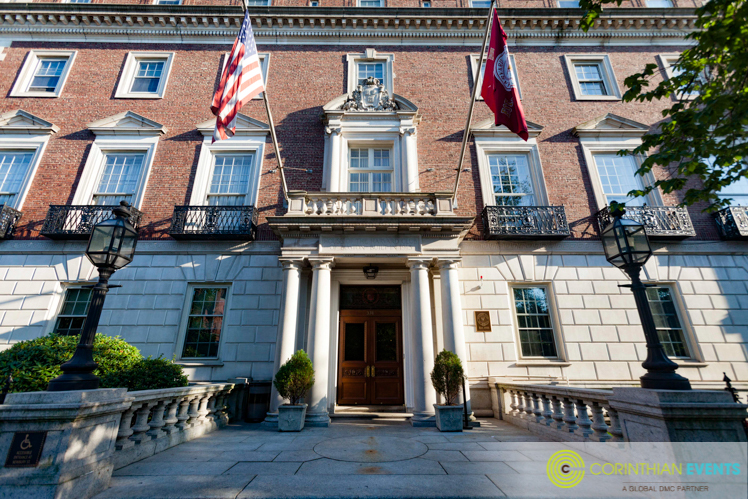 Those looking for an active and water friendly experience could participate in a kayaking excursion or America's Cup Regatta, while a more relaxing and historical tour awaited guests at Rough Point Mansion - the home of heiress, philanthropist and art collector, Doris Duke. 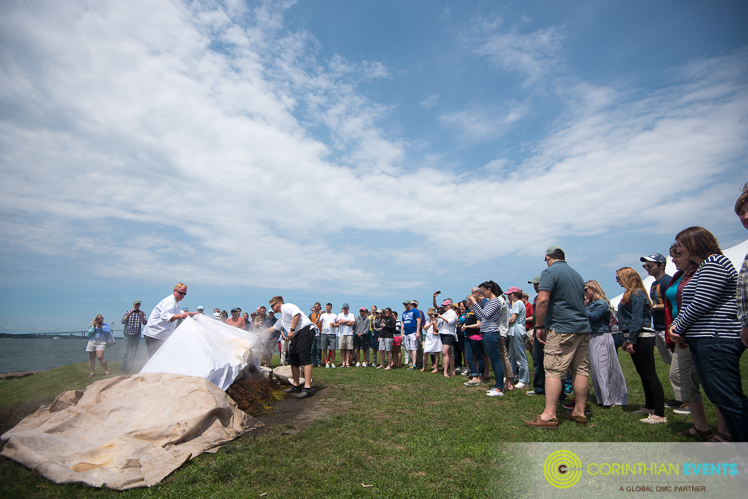 After the morning activities wrapped up, guests were whisked off to their coastal clambake lunch. 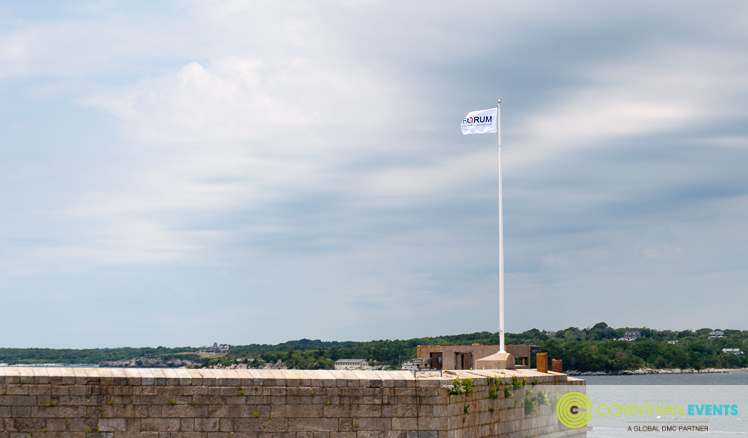 Established on July 4, 1799, Fort Adams is a former United States Army post and the largest coastal fortification in the US. 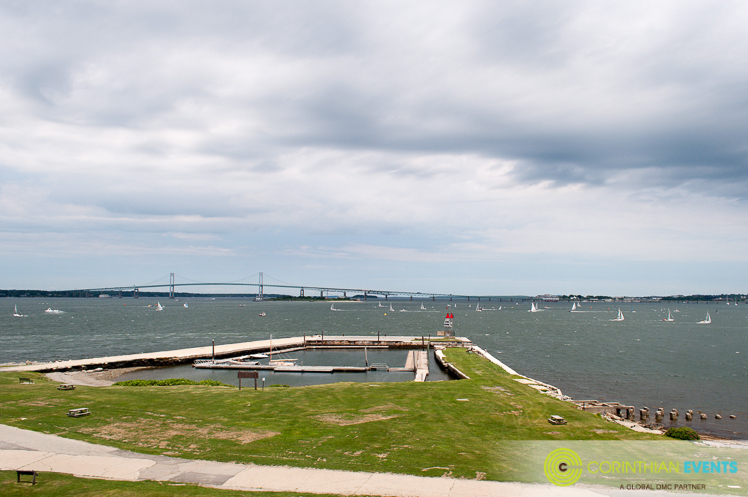 in 1965, the fort and surrounding land was donated to the state of Rhode Island to be used as Fort Adams State Park. 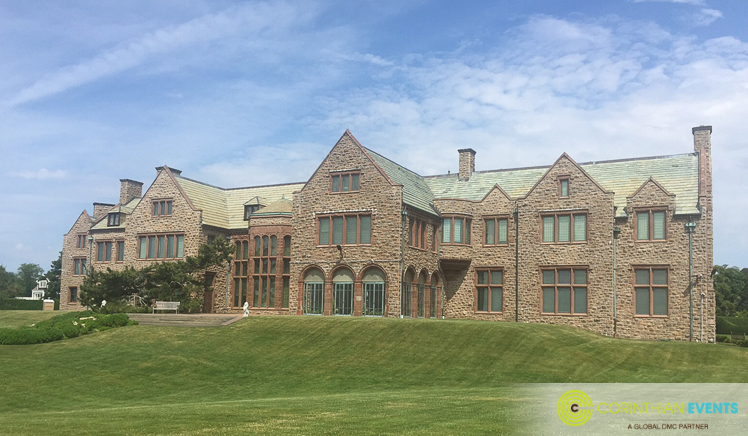 The impressive architecture of the massive fortress and the picture perfect view of Narragansett Bay provided a unique outing backdrop. After a busy morning, guests arrived ready for some light bites, cocktails and fun! 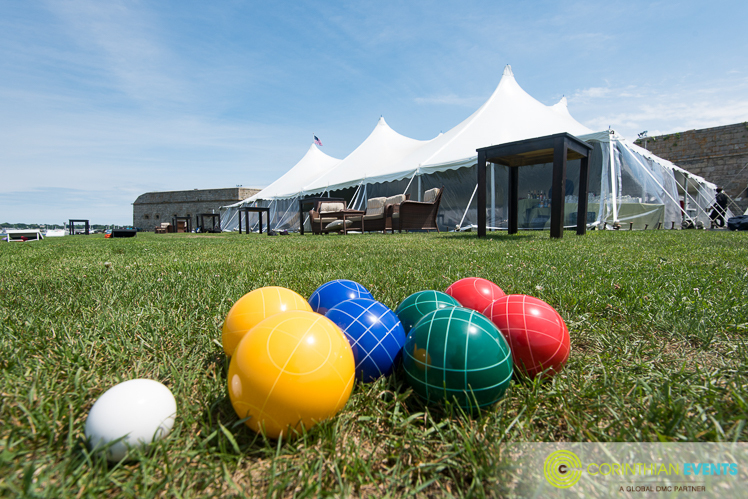 Games were spread out across the grassy area and many spent the afternoon playing baggo, croquet and bocce. The highlight of the afternoon was a New England, pit-style clam and lobster bake that had been cooking on the lawn all morning. 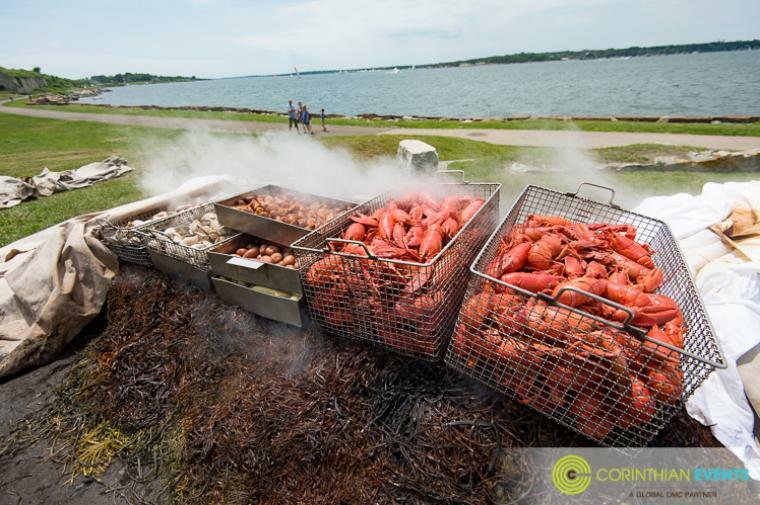 Guests were asked to gather on the lawn and watch as the chefs unearthed the mass quantities of shellfish, potatoes, corn and sausage. 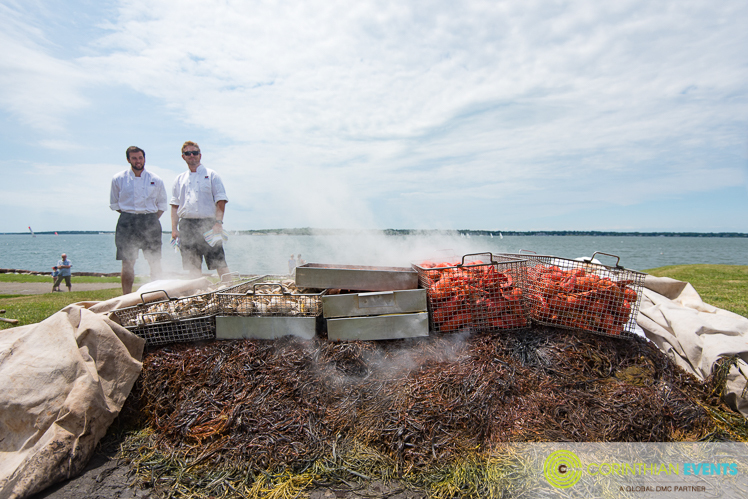 These guys have been putting together authentic lobster bakes for over 45 years! As they peeled back the many layers of canvas and revealed the meal, they explained the traditional cooking process passed down from early New England colonists. It was truly a site to behold! 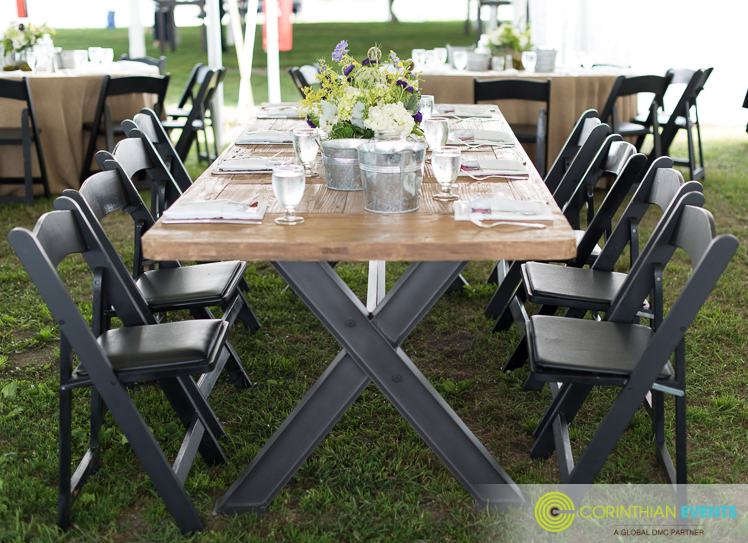 Following the big meal reveal, guests headed to the tent where a mixture of industrial wooden tables and burlap topped rounds awaited them. 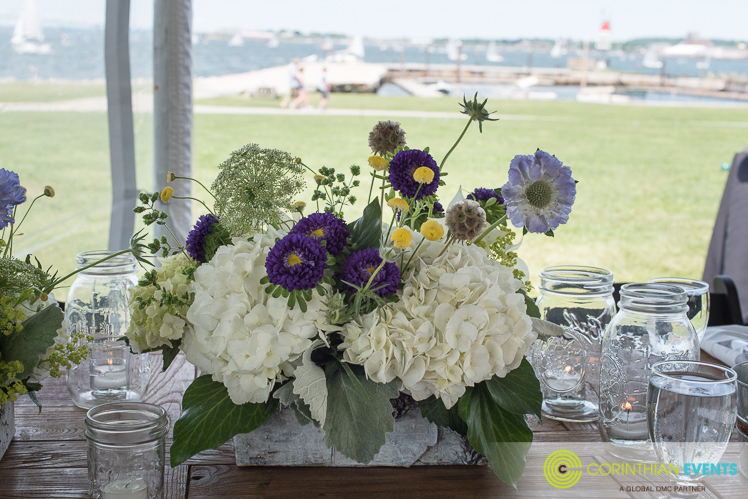 Table decor featured our favorite "rusti-chic" style. (Yes, we are still trying to make "rusti-chic" happen!) 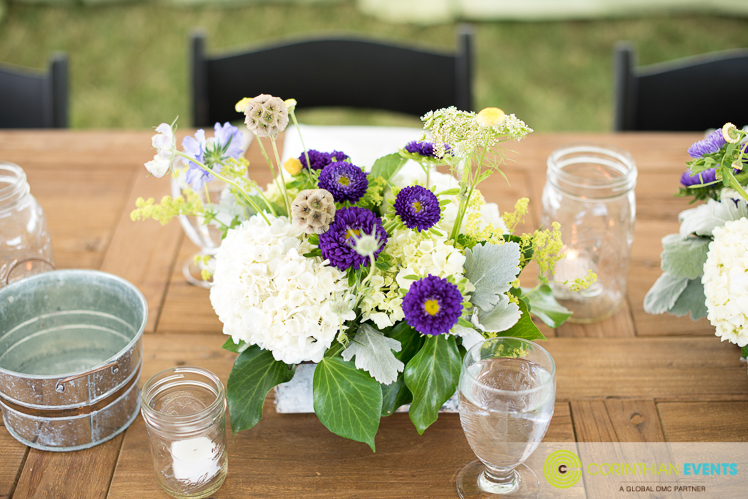 Wild flowers in purple, yellow, green and white were arranged in metal and natural wood containers while scattered succulents and mason jars filled with candles rounded out the centerpieces. Coupled with summertime hits played by the McMurphy's, it was the perfect atmosphere for the delicious meal! 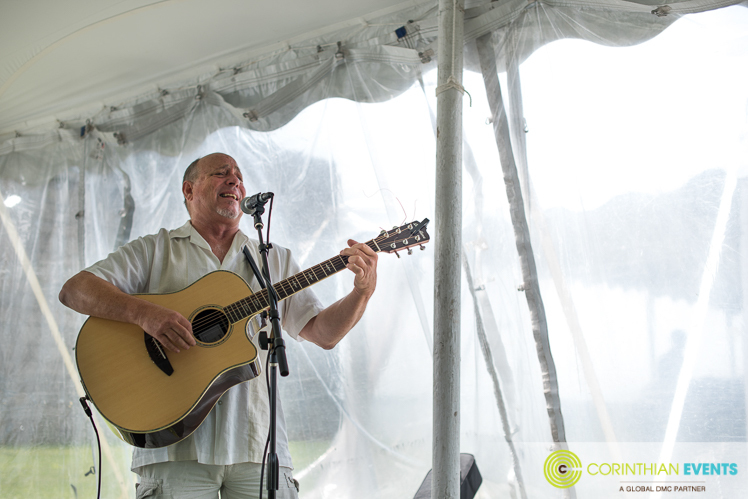 Jay Murphy of the McMurphy's entertained guests throughout the outing! <="" outing!="" throughout="" guests="" entertained="" mcmurphy's="" the="" of="" murphy=""> Once their bellies were full, guests headed back into the sunshine to enjoy more games, drinks and music. The afternoon couldn't have been lovelier!